Additional resources that support our products. How do I transfer my license of Valentin software (PV*SOL, T*SOL, GeoT*SOL) to another computer? How do I transfer my license of HorizOn? How do I transfer my license of Meteonorm? How do I transfer my old settings and projects for Kesa aladin from one computer to another? How do I create and send a screenshot? What is the Solar Site Selector? How do I print replacement acetates for the Solar Site Selector? How do I measure a roof pitch when on site? Is it possible to import horizon files into PV*SOL or T*SOL? Which tools are compatible? What time base is used with the simulation programs? Can I use my own company logo in the project report? What capabilities and limitations do the demo versions of Valentin software programmes have? Do older versions of Valentin software have to be deleted before new versions can be installed? Is Valentin Software accredited by the MCS or SAP? Can licenses be loaded centrally on my server? Can Valentin programmes also be used on Apple Mac computers or Linux systems? How can I change the currency units in the program into Euros or another currency? How do I license older Valentin programs (pre-2016)? Which climate data files are delivered with the software, and what is the source of the data and the historical period upon which it is based? Is it possible to use my own climate data? After the climate data has been installed it is not shown in the program. What should I do? How do I delete old custom climate locations? Is it possible to view the climate data?" How can climate files be used from other specific sources like 'MCS', 'Solar-GIS', 'NASA' or 'PV-GIS'? After starting the simulation, a message appears that the wPDF200A.dll file is not available. What can I do? I got the message "The operation timed out" or "the time limit is reached" when downloading a new software release through the automatic update process. What does this mean? I have an unresolvable error what should I do ? Upon starting a program download, why do I get a message 'The signature of this program is corrupt or invalid'? You can use the Windows 'Snipping' program to capture and save a screenshot. Or for most computers, hold down 'Ctrl' and press 'Print Screen' on your keyboard. Sometimes the pressing of the 'Ctrl' key is not required. For pasting the captured image, hold down 'Ctrl' and press 'V' together on your keyboard to paste the screenshot directly into an open email. Or if you wish to first edit the image then open up Microsoft 'Paint' found on most computers by clicking Start>Programs>Accessories>Paint. Alternatively, save the image as an image file on your computer and attach it to an email. Because all printers and graphic software is different, we cannot prescribe any one method or scale to use for printing acetates. We suggest you do a few trials using just white paper adjusting the print size via whatever software you use to print graphics. Most PCs have Microsoft Paint as a free program which has a 'Resize icon in the menu. If this is not possible, the alternative method is to use trigonometry, whereby the roof pitch angle can be derived from two measured distances on the building - often the height and horizontal distance from the point of measurement. 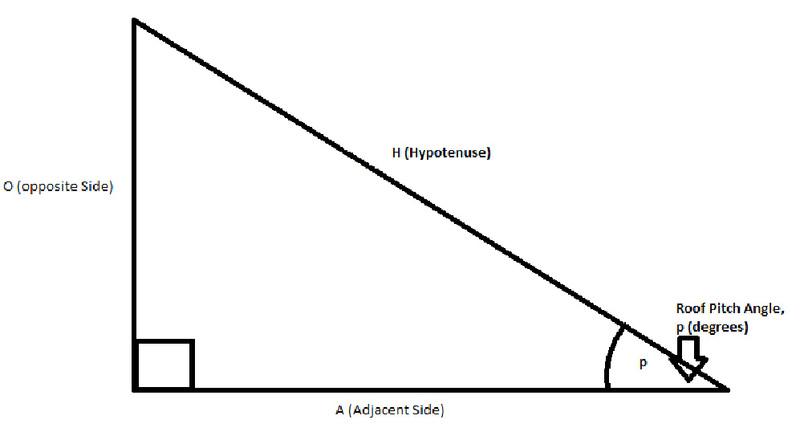 The relevant trigonometry equation is then Tangent*(pitch angle) = height/distance. There are many useful resources on the Internet to help understand and use trigonometry. We offer training courses on this subject. Yes, you can load horizon files in the shade window by using the import function or just paste directly into the 2D shade table. Many third party devices/software create such data which is of the form of two columns representing the terrain outline - azimuth and angular altitude. Sources include: PV-GIS, Horicatcher (Meteotest), Horizon (Panorama Master), SunEye (Solmetric). Using the graphic feature, the daily height of the sun can be plotted to identify the zenith. It can be seen that the time of the zenith varies according to the longitude and it is not always at midday within the time zone. For example across UK the solar 'noon' can vary by over 30 minutes. Across central Europe by over 2 hours. The climate file chosen for the simulation set the longitude and time zone of the location according to UTC. Any other imported data such as appliance usage should be adjusted to synchronise to this climate file's time zone without applying any daylight savings. Hourly values are designated by the end time of the interval. Thus the value for 14.00 hours refers to the average value of the interval from 13.00 to 14.00 hours. Can I use my own company logo in the project reports? For all programs it is possilbe to place the results into a Word doucment and add a logo. In some programs like T*SOl and PV*SOL you can import the desired logo directly into the program project report options. Alternatively, the report can be exported into Microsoft Word and further customised there. What capabilities and limitations do the demo versions of Valentin Software programs have? Free demo / trial / test versions can be downloaded from our website Contact Us section. With these, for a limited period you can view all the program components and features except the customer report creation. You can use the program help to obtain an overview of the content and capabilities of the program. After the test period has expired (typically one month) you can no longer access the program and you will need to ask us to quote for a full licence. Old versions can often be left on the same machine. But if there are problems with the new program version it may be worth deleting old versions. Is Valentin Software accredited by the UK's MCS or SAP? There is no method yet provided under the MCS scheme to accredit commercial simulation design software. The programs PV*SOL, GeoT*SOL and T*SOL are widely used by industries across the world and specifically supported by major brands who provide data for the products shown in the programs. These programs are adapted by each user to each specific location and application and all provide temperature analysis as well as voltage/current configuration (for PV*SOL). When considering the performance prediction in simple annual energy yield, the values between the MCS methods and commercial methods will inevitably be different not least as the input values are similarly different. In summary for PV, the MCS PV Guide method only gives a very limited performance prediction for certification purposes not intended for professional design of systems. Whereas PV*SOL anticipates a wide range of variables such as for large-scale arrays or battery systems outside the remit of the MCS. For further verification, the following paragraphs are taken from the Microgeneration Certification Scheme documents that underpin much of the government's renewable subsidy scheme. 4.3.3 Additional estimates may be provided using an alternative methodology, including proprietary software packages, but any such estimates must clearly describe and justify the approach taken and 4.3.4 factors used and must not be given greater prominence than the standard MCS estimate. In addition, it must be accompanied by warning stating that it should be treated with caution if it is significantly greater than the result given by the standard method. Additional estimates may be provided using an alternative methodology but any such estimates must clearly describe and justify the method employed and the factors used. These additional estimates must not be given greater prominence than the estimation method specified in this standard and shall not be used on the MCS certificate. In addition, it must be accompanied by warning stating that it should be treated with caution if it is significantly greater than the result given by the standard method. Calculate the annual solar energy input to the system using proprietary software. The software package, version number and all simulation inputs and outputs should be fully communicated to the client at or before the point that the contract is awarded. All input assumptions must be stated and must be appropriate to the installation. "For SAP calculations dwellings have a standard occupancy and usage pattern, which are typical values of quantities that in practice vary substantially between dwellings of similar size and type. The occupancy assumed for SAP calculations is not suitable for design purposes, for example of hot water systems." Server-based or network-based licenses are available upon request for PV*SOL and T*SOL. Unless specified as such then each single-user software license is designed for use on an individual workstation. This means there cannot be simultaneous access to projects. However, the program on each workstation can be set so its databases and projects are stored at a single server location, hence allowing sequential access to stored projects by other licensed holders. Saved projects can only be sequentially accessed by users, and not simultaneously i.e. not in parallel. Valentin software is developed to run on Windows operating systems. Additional software is required, such as VMWare or VirtualPC, in order to use Valentin programs on a Mac or with Linux. Please note that Valentin Software don't provide support for Mac or Linux installations but we are aware of many users who use this method. Free trial versions are sometimes available of these products to establish compatibility. The unit of currency in the programme depends on the system settings in your PC. You can change the currency setting for your operating system in the system settings (depending on the operating system version, you can do this typically under Regional and Language Options or under Country Settings). All current Valentin programs come with the same initial selection of climate data files. In addition, most versions of the programs include the climate data generator MeteoSyn, which can be used to create additional climate data files including of your own source providing it is in monthly format. Further hourly climate files can be directly imported. The source of the weather data is often indicated in the PV*SOL climate data database and this varies across the world. Where no reference is obvious, this is normally a data set from Meteonorm in Switzerland. PVGIS or NASA data is sometimes also used. Where original data is in monthly format, MeteoSyn uses an algorithm to produce hourly values using a mathematical model called INSEL. The historical period of data collection or observation varies but is almost always an average taken over a time-span of at least 5 years. For prediction into the future, long-term historical averages tend to be more reliable. If the program is still in demonstration mode then you may not be able select other climate files. Check under the Help menu for whether it is fully registered. The MeteoSyn module will also not work fully if there is no Internet connection. This may be because the connection has been blocked by a firewall. If these do not resolve the problem, please try reinstalling the software. If you have previously saved projects that used custom climate files then those values will be automatically re-imported if the project is re-opened. In these cases you may wish to first open, then re-interpolate the custom climate locations and re-save those projects the latest PV*SOL/T*SOL version. Any previous self-created climate data records will remain stored under the Windows folder “C:\ProgramData\Valentin EnergieSoftware\MeteoSyn\WBV\_userfiles\GBR” or similar other country folders. With the program closed, you can optionally delete those custom climate files using Windows ‘Files and Folders’. Then re-open the program and within Meteosyn > Options choose ‘Update Database’ such that the old ones will not be able to be selected again. This may help avoid confusion later. You can then re-interpolate your custom locations in the latest PV*SOL version as required. Is it possible to view the climate data? The climate results can be exported via the diagram/graphics editor. Here it is possible to also output tables of hour/month/year values for 'Irradiance onto horizontal plane' and 'Outside Temperature'. In PV*SOL this can also be at minute level resolution. Manual entry of custom climate data (i.e. irradiation and ambient temperatures) is done via the monthly value import in the PV*SOL Meteosyn dialogue > Create climate data for New Location> Measurement data. To note, there are already several UK SAP climate files in the database which effectively synchronise with those used by the UK MCS. In PV*SOL, most of the bundled climate files of hourly values originate principally from a Swiss company Meteotest but it quite possible to also make use of other datasets as well. For PV-GIS it is even easier from here. Also there is a much wider range of climate data options from our other product Meteonorm. It is possible to convert the same originating climate data from other calculation methods into PV*SOL or T*SOL although it should be stressed this will not automatically lead to obtaining the same annual performance results. Some alternative methods use only simplistic steps to obtain an approximate annual yield estimate; whereas PV*SOL & T*SOL considers such details as efficiencies, temperature and energy analysis. In the case of PV*SOL down to a minute's resolution, along with voltage / current array configuration options. The consideration of part-load, shading and albedo are also quite distinct. The program help is not displayed under Windows Vista and Windows 7. What do I do? To display the help function the Windows program WinHlp32.exe is required. Please follow the instructions from Microsoft. The wPDF200A.dll file is required in order to create the Project Report in PDF format. The file is a part of Microsoft Windows Systems. Please copy the wPDF200A.dll file via the following link: http://solar-software.de/downloads/support/wPDF200A.dll and paste it into C:\WINDOWS\system32 or C:\WINNT\system32, depending on your Windows System. The program needs a relative constant and stable internet connection. If this is not guaranteed, then the program aborts the download of data. You can try to download the latest program version from the download section of our webpage. Please execute the downloaded setup file. The old program version doesn't need to be uninstalled. Some browsers such as Internet Explorer handle the download process better than others. If an error persists try to capture any indications by screenshot and email those to us. We can then provide a more detailed list of options. This is a known Microsoft Explorer issue KB2870699 'Breaks IE MSI signature validation' and KB2870699 'Causes Signature Verification Issue'. It can be resolved by using a different download location; using a different browser; or following workarounds suggestions given by searching the above terms. When you made the original full installation you were ultimately asked to activate the program. Activation generates a unique keycode for each installation. You will not be able to make a second full installation of a licence by simply copying the same original activation keycode (even if you try to install it on the same computer). You will however need the longer serial number and ideally this should first be recorded possibly via a screenshot of the original installation under the Menu > Help. Alternativley the original email you received with the license serial number will be required. Before you can make a transfer, you will first need to remove the original install. You may wish to first back-up and make copies of your saved projects. You also may wish to export some program settings. Requesting a license re-activation will discontinue support of the original (current) installation. It is therefore not a facility for attempting to duplicate licenses and you should only request reactivation if you wish to transfer the license from one computer to another. After the request is sent you will eventually receive an email back with a download link. Ensure this is the correct trial version to be installed on the target computer you wish to transfer to and check as far as possible that it functions correctly in trial mode. If you wish urgently use or transfer a current program (i.e. not a legacy program) the current trial versions can be quickly obtained via the Contact Us page. For legacy transfer requests we will first check if you are eligible for an update. Please note: Old serial numbers that have already been updated cannot be re-activated. Instead you should use the new serial number that was sent as the replacement. From Sep 2018, the HorizON program is no longer on sale. It is not designed to work with Windows 10 and above. For support on licensing please contact the programmers directly www.energieburo.ch In any case first ensure a demo version is installed on the target computer you wish to transfer to and check as far as possible that it functions correctly. When you made the original full installation you were ultimately asked to activate the program. Activation generates a unique keycode for each computer. You will not be able to make a second full installation of a licence by simply copying the same original activation keycode. You will however need the longer serial number and this should be recorded possibly via a screenshot of the original installation under the Menu > Help. You will need this information when you contact the programmers. First ensure a demo version program is installed on the target computer you wish to transfer and check as far as possible that it functions correctly. Meteonorm programs allow you to self-activate and de-activate licenses but you must deactivate the first installation online before you can activate the second installation.